This week's Modojo Rewind peers through the haze of turkey and fixings to further examine the continuing reign of Nintendo and Pokemon. Every Modojo Rewind has a theme, and this week is no different. Modojo @ Shacknews has this past week been almost entirely dominated by stories regarding Pokemon, ranging from tales of the brand's overall success to some of the fun surprises to be found in both Ultra Sun and Ultra Moon on the Nintendo 3DS. Aside from pocket monsters and the catching thereof, we've also seen some interesting developments regarding Square Enix's outlook on the Nintendo Switch as well as a surprisingly early release for the latest Animal Crossing game. Buckle up, buttercup — it's time to blast off toward the Modojo Rewind. Pokemon, right? They're so dang addictive. Not only have the recent 3DS releases of Ultra Sun and Ultra Moon managed to capture our hearts, the overall Pokemon series has just recently topped 300 million units sold worldwide, solidifying its place as the third-most successful video game franchise of all time and closely approaching the total sales for Sonic the Hedgehog, which currently sits somewhere around the 350 million mark. That's big news, and that number is only going to grow through time. What makes the series so addictive, you may ask? Well, there's loads of variety: we've gone through a list of the best new creatures in Pokemon Ultra Sun and Ultra Moon, and there are plenty of interesting critters to look out for. The 3DS enhanced releases also have a variety of different improvements when compared to the base games, which always helps. They really aren't hard to decide betwen, either; deciding between Ultra Sun and Ultra Moon is as easy as seeing which Pokemon stand out the most. On top of all that, the games also include a hidden reference to the late Satoru Iwata, which plays on the heartstrings of the Nintendo fan inside all of us. Of course, not everyone plays Pokemon on the 3DS; many more players prefer Pokemon Go, and those types still have some time left on the game's latest challenge. If players can drum up 3 billion total captures by Sunday, Niantic will lease Farfetch'd into the wild for 48 hours. Coupling collection instincts with rare opportunities seems to be a powerful combination. One of the more interesting stories to crop up this week comes from Square Enix president Yosuke Matsuda, who stated a belief that the Nintendo Switch is ideally-suited to retro reboots. Being fans of all manner of games, we're not unhappy to see classic games coming to the Switch — far from it, honestly — but it's easy to see how this approach might frustrate fans who are eager for new and unique content. There are loads of great games on the Switch, of course, and not all of them are older titles. Still, many players haven't yet jumped on the Switch bandwagon, and for those types, we still have leads on some interesting mobile games: Puzzle Fighter has recently landed on mobile devices of both the iOS and Android variety, which is certainly an exciting entry for those who game on the go. 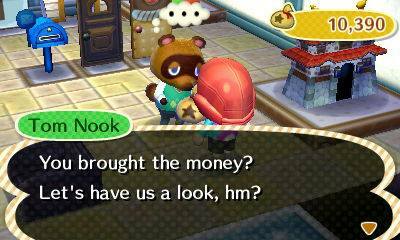 Animal Crossing: Pocket Camp released this week, too, and a day early at that, meaning players can get a head start on building up their debt to the infamous Tom Nook. Mobile fans can also look forward to the latest digital pet sensation in My Tamagotchi Life, the upcoming Bandai Namco title that looks to allow AR-based pets to cry and poop all over your living room.